Click here to listen to Salk Talk podcast featuring Sam Pfaff. For an expectant parent, few things are scarier than receiving genetic testing results and finding you’re a carrier for spinal muscular atrophy, or SMA, a devastating genetic disease that kills neurons within the spinal cord needed for movement. Those who carry a dysfunctional version of one of two related genes have no symptoms of their own—though they risk passing the full-fledged disease to offspring if their partner is also a carrier. In the majority of children with SMA, the disease is fatal in their first few years of life. But SMA patients today have a ray of hope. The United States recently approved the first drug for the disease, in a breakthrough that came after nearly 50 years of studies by academic and industry scientists into the genetic and molecular underpinnings of SMA, as well as basic research into motor neurons. These cells are some of the longest neurons in the body, stretching from the base of our spine to the ends of our toes in one continuous span. Little is known about why motor neurons are susceptible to degeneration, but recent work has shown that, far from being just an information relay between the brain and the rest of the body, motor circuits in the spine do their own heavy lifting when it comes to sensory perception and movement. Analyzing this motor neuron circuitry has become an important area of research in several Salk labs, with insights not only pointing toward potential cures for movement disorders and spinal injury but also revealing general rules the nervous system uses to process information and compute instructions in other brain regions. Little is known about why motor neurons are susceptible to degeneration, but recent work has shown that, far from being just an information relay between the brain and the rest of the body, motor circuits in the spine do their own heavy lifting when it comes to sensory perception and movement. A history of delving into motor disease is built into the Institute’s foundations, starting with its founder, Jonas Salk, who discovered the first polio vaccine. Polio, a virus that invades and destroys motor neurons (leading to infantile paralysis) devastated millions of people worldwide before Salk’s vaccine helped to all but eradicate it. For those unfortunate enough to contract the disease before the vaccine became available, there was a small chance of recovery that showcases the potential of spinal circuitry. Like many other areas in the nervous system, once motor neurons die they are not replaced. But it turns out that the remaining motor neurons after a polio infection will sprout additional connections over the course of several months in an attempt to compensate for the loss. This adaptation allowed many polio patients to recover from some degree of lost motor function over time, depending on the extent of the damage. The Salk Institute was also home to the late Stephen Heinemann, whose pioneering research on neurotransmitters laid the groundwork for understanding that many diseases of the brain result from deficits in communication between nerve cells. Heinemann was widely considered one of the world’s most accomplished neuroscientists and inspired many at Salk, including Pfaff. Stains of neurons show mutations that cause the often-fatal spinal muscular atrophy. All microscopy imagery courtesy of the Pfaff Lab. In many ways, the brain and spinal cord are still a black box: an incredibly complex tangle of electrochemical circuitry built and maintained through elaborate networks of molecular and genetic pathways. However, developments in technology, such as imaging, microscopy, stem cell research and others, are yielding rapid new discoveries in the field. The brain interacts with the world by moving the body through everyday acts like tying a shoe or typing an email, to more impressive accomplishments like hitting a fastball or playing the guitar. During these types of behaviors the brain sends signals to the spinal cord, where intricately organized neural circuits must orchestrate the activity of dozens of muscles to perform smooth and precise movements. One way to do this is to create replicas of pieces of the nervous system, particularly three-dimensional versions of networks. Pfaff created such a system called a circuitoid, a miniature collection of neuron types organized within a petri dish that mimics a functional unit in the spinal cord. First published in 2017 in the journal eLife, Pfaff ’s circuitoids—which fire in a way that mimics the rhythm of stepping—revealed the different ratios of cells needed for locomotion. It had been suspected that different combinations of neurons working in unison played a role in locomotion, but circuitoids revealed the ratio of five types of neurons needed for successful movement. His lab was able to develop the circuitoids thanks to innovations by other neuroscientists, such as Salk Professor Martyn Goulding, who developed a strain of mice with fluorescent proteins in specific neuron types. The Pfaff team used these mice to isolate hundreds of different stem cell lines and study how stem cells could be converted into an array of different spinal neuron types. With these advances in identifying and labeling spinal neurons, the team could monitor the cells’ growth in real time and focus on the cell types they suspected were most important for controlling rhythmic movements, such as stepping, chewing and breathing. The circuitoid system is the first step in studying the computational principles that underlie the complex regulation needed for movement, he adds. This novel approach of building a neural circuit entirely within a dish is leading others to request Pfaff ’s cell lines in order to model diseases and study neural interactions. Scientists have also recently uncovered a “mini brain” in the spine that integrates sensory information from light-touch sensors in the feet and makes the necessary adjustments to our muscles so that we don’t slip and fall. Goulding’s lab discovered that this cluster of cells in the spine, called ROR neurons, doesn’t just receive signals from the brain and light-touch sensors, but also directly connects with neurons in the ventral spinal cord that control movement. This circuit helps us to reflexively make small adjustments to foot position and balance when dealing with a slippery surface, for example. The study, conducted in mice, provides the first detailed blueprint for a spinal circuit that serves as a control center for integrating motor commands from the brain with sensory information from the limbs. Together, all of these advances in revealing the basis of movement and spinal cord circuitry help lead to the next step: repairing dysfunctional movement. By creating replicas of pieces of the nervous system, particularly three-dimensional versions of networks, Pfaff was able to create one such system called a circuitoid—a miniature collection of neuron types organized within a petri dish that mimics a functional unit in the spinal cord. It is still a mystery why motor neurons degenerate with seemingly little warning after many decades of life in patients with ALS. Once symptoms appear, typically in people’s 40s, they may only have 5 years to live, with most dying within 2 years. “A diagnosis of ALS is a death sentence with no treatments or cures,” says Pfaff. Even though the same motor cells die in ALS as in SMA, a different pathway is at work, potentially due to a combination of genetics and environment. Despite the grim odds, one tantalizing possible treatment for both ALS and spinal cord injury is on the horizon. Could stem cells—cells that have the potential to grow seemingly unlimited supplies of tissues—be injected into the spine to grow new neurons? It turns out this isn’t as easy as it sounds. Stem cells don’t have the same cellular and environmental cues instructing them on what to become in a stable adult body as they would in, for example, a developing fetus. Fresh stem cells introduced into a spinal cord may not develop into the desired cells, or worse, develop into undesirable cells or even cancer. So-called stem cell tourism—where people travel to other countries to have stem cells injected into an area of injury—are incredibly dangerous for precisely those reasons, in many scientists’ opinions. Although stem cells have been used in other clinical treatments—such as providing new blood to patients with leukemia—nothing is currently available for motor disease or spinal cord injury, though early clinical trials are under way for a number of stem-cell-based treatments to find methods to safely introduce stem cells. 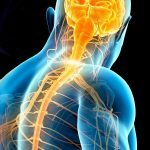 Pfaff ’s lab, along with researchers at the University of California, San Diego, are part of a bigger project through the California Institute of Regenerative Medicine (CIRM) to develop neural stem cells that can be transplanted into spinal cord patients without the risk of forming tumors. After five years of experiments, the team is currently collecting data related to safety measures to present to the FDA in the first step toward obtaining approval for these cells to test in ALS. Pfaff is tackling ALS from several angles. Aside from stem cell therapy, he is exploring supportive cells in the nervous system called glia (in particular a subtype called astrocytes) that research in the field has pointed to as a potential culprit in damaging motor neurons in ALS. The lab of Salk Professor Rusty Gage grew astrocytes from human embryonic stem cells (published in Cell Stem Cell in 2008) to confirm that dysfunctional human astrocytes turn against their charges and kill off healthy motor neurons. His team found that treating the cultured cells with an antioxidant staved off motor neuron death caused by malfunctioning astrocytes. The work provides insight into the toxic pathways that contribute to the demise of motor neurons in ALS and opens up new possibilities for drug-screening experiments using human ALS in vitro models, as well as clinical interventions using astrocyte- based cell therapies. “We are exploring whether we could replace those harmful glial cells or at least get some normal, healthy glial cells in the environment to slow the disease down,” says Pfaff. It turns out that many of the dozen-plus genes associated with ALS—as well as the one associated with SMA—involve the metabolism of small molecular versions of RNAs (short for ribonucleic acids). Most RNAs, which are molecules that help decode the genome, are thousands of amino acids long, but microRNAs are only about 20 long. Pfaff ’s lab discovered that motor neurons have a unique microRNA called miR-218. By creating mutations in miR-218 they found that the absence of this single small RNA was enough to cause motor neuron degeneration through a series of steps that mimic ALS and SMA. “This was the smoking gun we had been searching for,” says Pfaff. “We believe this could be the convergence point that is affected in many forms of ALS.” Pfaff, along with a team of collaborators from UC San Diego and the Weizmann Institute, was recently awarded a grant from Target ALS to further investigate this possibility using compounds to mimic miR-218. The microRNAs may connect the different factors that lead to ALS—such as the aging process as well as mutations in genes that contribute to the function of microRNA. Pfaff will be collaborating with a local company that specializes in making compounds that mimic microRNAs. “This could be a very novel therapeutic approach,” says Pfaff. “And if this ends up benefiting SMA and ALS, then maybe we need to think about microRNAs in other neurodegenerative diseases.” Right now, microRNA therapies are few and far between and mainly associated with tumor treatments. 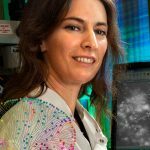 With the series of exciting developments in motor disease research over the last few years, Pfaff credits the progress to funders who provide support for the high-end microscopic equipment that makes visualizing neurons more accessible. Pfaff still has his microscope from when he was 7 years old in his office, worth around $5 and nestled in a brown case smaller than a shoebox. He contrasts that with the million-dollar microscopes he works with regularly. “The toys have gotten more expensive,” he says with a smile. But, if it means finding ways to help the hundreds of thousands of people with impaired spinal function, then the price is worth it. Untangling the mysteries of the spinal cordConverging research and innovative technologies are tackling some of the deadliest motor diseases. An interview with Diana HargreavesInside Salk talked with Hargreaves about why she prefers smaller intellectual environments, what excites her about the science she does at the Institute, and how she thinks about being a woman in science. 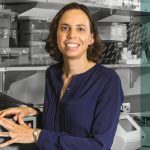 Delving into the best of both worlds with Shani SternAs the only electrophysiologist in the lab, Stern uses her engineering expertise to delve into the biological mysteries that most intrigue her, particularly bipolar disorder.